All the goals from the sensational 5-4 extra time victory of Barca against Sevilla in the UEFA Super Cup held in Tbilisi, Georgia. 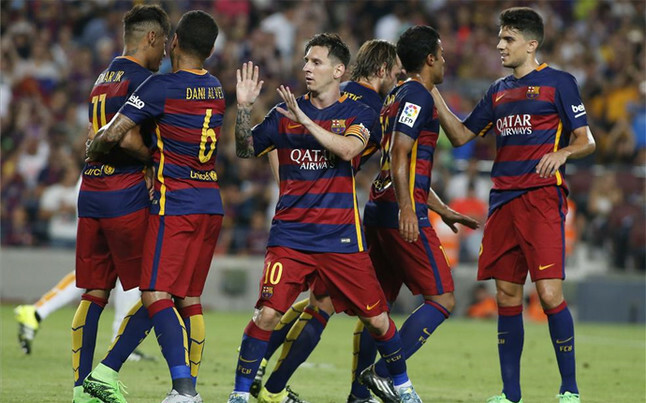 FC Barcelona won the 2015 Joan Trophy beating Roma 3-0 at the Camp Nou. Barca was in sensational form following the return of the front trio of Messi, Neymar and Saurez. Neymar opened the scoring following a brilliant pass from Messi. Messi himself scored the second one after a series of brilliant passing involving almost all players. Rakitic completed the scoreline with the "Goal of the Match", a stellar long range strike from outside.